Reid Park Zoo welcomes Oja, the Andean bear! Oja was born at the Zurich Zoo as a part of their bear breeding program. She is inquisitive and bold, and her favorite foods are peanuts, raisins and strawberries. Oja’s fifth birthday is coming up on Saturday, Feb. 16. Oja is currently adapting to her new Zoo behind-the-scenes, allowing her to bond with her animal care team and for her veterinary team to observe her unique behavior. The public can expect to meet Oja on habitat in the South America loop at the Zoo in March. During her time at the Zurich Zoo, Oja’s keepers used positive reinforcement training.This type of training, which Reid Park Zoo also employs, encourages animals to engage in natural behaviors and challenge their minds. Oja’s transition to her new Zoo has been smooth because keepers from both zoos use the same training and enrichment philosophy–just in different languages! Oja’s arrival provides the Zoo with an opportunity to introduce Worf, our male Andean bear, with a new companion. The bears will be introduced shortly after Oja finishes her health screening. Since Oja was born in Switzerland, her genes are not well represented in the United States. This ultimately will help with conservation of the species in human care. 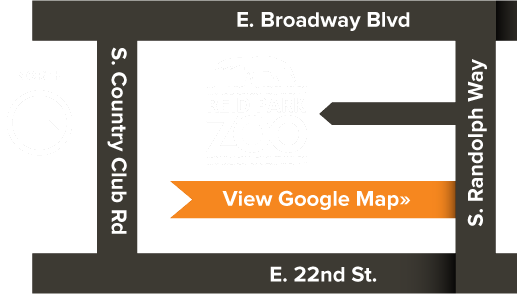 In the future, Reid Park Zoo will have the opportunity to contribute to the conservation of the species through a breeding recommendation from the AZA Species Survival Plan for Oja.